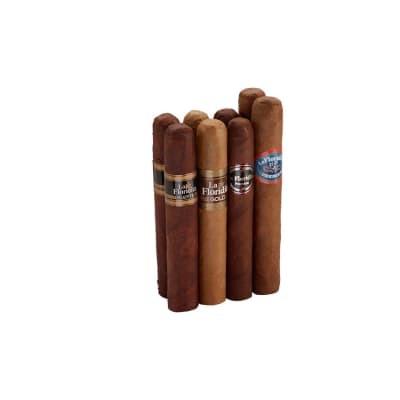 If you're looking for hearty tobacco flavor and great value, La Floridita cigars are right on the money! 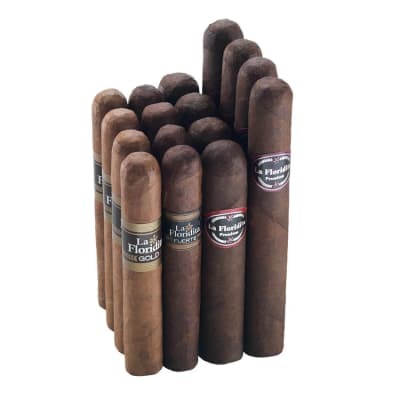 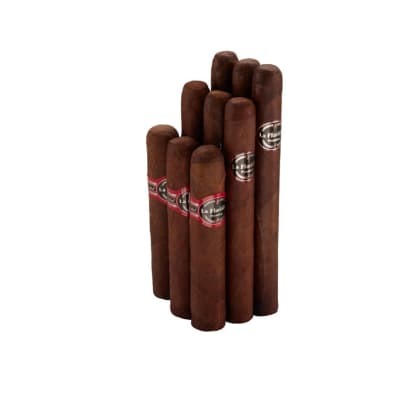 This selection offers a well-packed, well-balanced blend of robust Dominican and Nicaraguan long-fillers with a milder Dominican binder leaf, surrounded in oily Connecticut-seed wrappers. 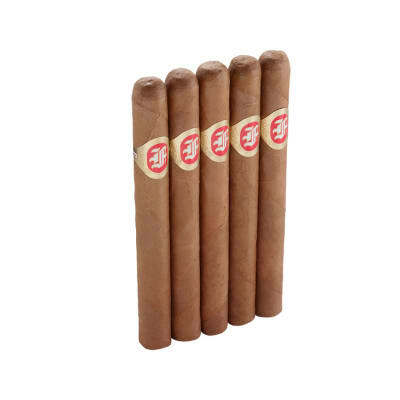 The result is a vivid, full-flavored smoke that has made La Floridita our bestselling bundle brand - especially the Maduros! 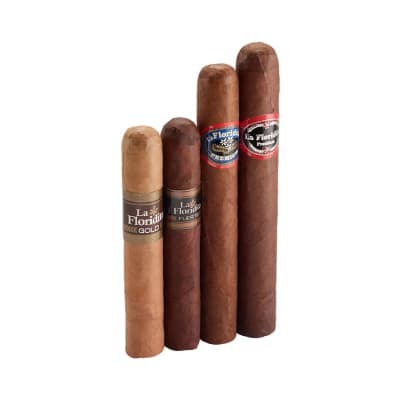 Some of our customers swear by 'em and won't even smoke anything else.